Fluval CO2 Kit Review: Can We Rely on This Pressurized CO2 System? 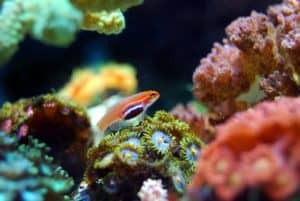 Aquariums with live plants are a world apart from your typical (and terrible) plastic decorated aquariums. In a planted aquarium, there is literally a living and breathing ecosystem running inside it. And anyone who cares and maintain a planted aquarium knows how important carbon dioxide is in maintaining and sustaining this green growth. But, supplying carbon dioxide into your water isn’t as simple as it sounds. Let’s see if the Fluval Pressurized 88g-CO2 Kit has what it takes to get the job done. We have heard aplenty about this CO2 system and we want to test it out for ourselves. Is it worth the hype people are making it out to be? Will it be worth every penny you spend on it? Keep reading our take on the Fluval Pressurized 88g-CO2 Kit to find out! If you can’t tell from the name of the product already, this CO2 supplier isn’t your traditional and primitive yeast based or aerosol CO2 booster. It comes in a pressurized can with all the proper fixes and accessories which make it far superior and efficient in doing its job. The entire setup measures 2.8 x 8.7 x 7.7 inches in dimension and weighs, approximately, 1.64 pounds. Pretty discreet and won’t clash with your aquatic setup so we are very happy about by that! The bad rep? Leaky can. Dangerous stuff if you don’t handle it properly. The Fluval Pressurized 88g-CO2 has about 3.1 liquid ounces of CO2 goodness. This will be released into the water through the diffuser to feed and nourish your aquatics plants and species. As for the size of your fish tank, the Fluval Pressurized 88g-CO2 kit should be enough to sustain a 15 to 40 gallon-er tank. It is clearly usable and functional for both small and medium size fish tank which is a huge plus for many users. It should also last a good while so cheers to that! The Fluval Pressurized 88g-CO2 Kit is a piece of cake for people who know their way around devices like these. You should have no trouble setting it up even if you are a noob because it is fairly simple. Either way, it does a good job. .. while it lasts. What do we mean by that? Well, Fluval Pressurized 88g-CO2 kits have this quality issue that we are not a fan of. It has a short span and you may see part and pieces of it falling apart after a while of use. . ..2 months, apparently. 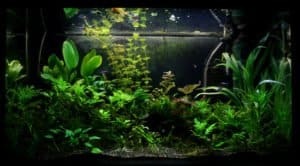 How long would you expect the Fluval Pressurized 88g-CO2 to last? Answer: Well, it all depends on how long and how much you use the pressurized can. Plants usually don’t use much carbon dioxide at night. 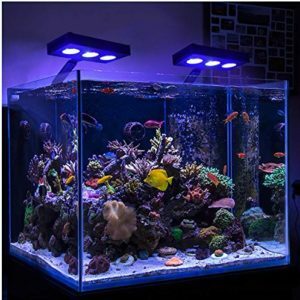 So, if you are someone who keeps the can off during night (or when your aquarium lights are off), then you could easily expect the kit to last about a 20 days to a month. Does it come with assembly instructions? Answer: Yes, it does and it is very easy to set up and get running. Detailed instructions, simple assembly so you should have no trouble whatsoever. 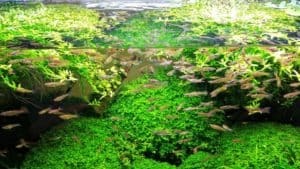 Should I turn off my filter when using the CO2 can? Answer: No, not at all. Keep your filter on at all times. You don’t have to turn it off to let the Fluval Pressurized 88g-CO2 do its work. The aquarium filter stays on. Answer: The kit is fairly quiet, we’d say. It isn’t entirely mute of course, but you’d have to be very close to the tank to be able to hear anything at all. Pretty hush hush. 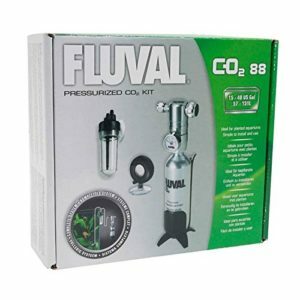 And with that, folks, we come to the end of our review of the coveted Fluval Pressurized 88g-CO2 Kit.. . .and we don’t know why it is so coveted. If we had to tell you something about this CO2 kit, it would be to make be your second choice. Not first, by any means. It is an “okay” CO2 system and you have to applaud the convenience of it, but it lacks and slack behind in quality … . A LOT! 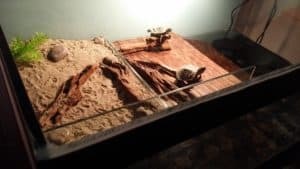 Although you or the next person may not experience the same problem 1o other people did, we would still advice you to buy this with a grain of salt. It is okay, just okay. And this pretty much wraps up our review right here. We hope you learned a great deal of things from here which help you make a better decision. Thank you for staying with us and we will catch you some other time. Take care!